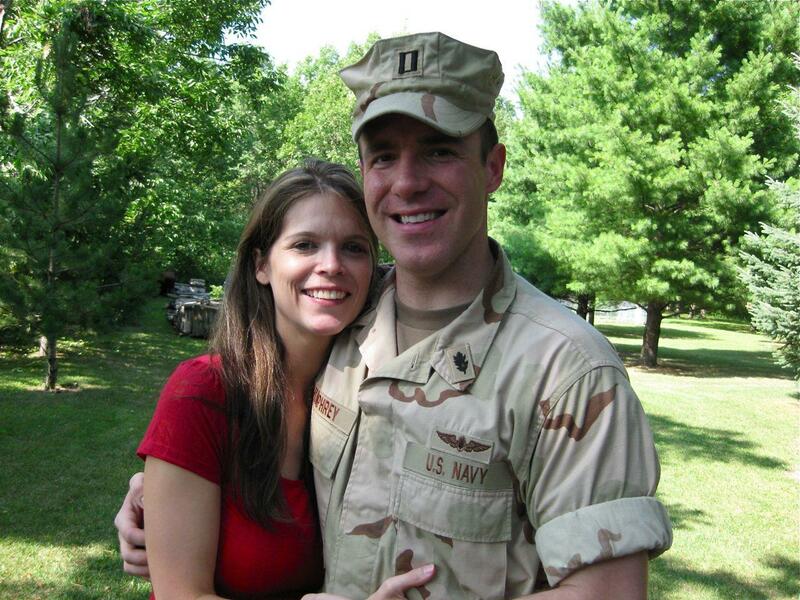 U.S. Navy Lieutenant Joe and our niece Melissa are pictured here. Joe is a naval flight surgeon. When he returned from his one year deployment in the middle east, his Dad (George) handed him the keys to a “like new” Mustang Cobra as a surprise. George reconditioned the engine and vehicle during his son’s tour overseas. Another Mustang restoration project was presented to his daughter a couple of years ago. A nice story in itself but more extraordinary in that Joe’s Dad is confined to a wheelchair. George lost the use of his legs when his bunker was blown up during a firefight in Vietnam. George and Joe both have our gratitude and admiration. It seems that Ford introduced this ad honoring our military which, although not identical, features a Mustang also as part of the story. Five minutes long but perhaps one of the best ever Ford commercials. Turns out Ford wasted time hiring script writers. That George is a “disabled” vet (I don’t know all that many able bodied guys that can handle a car restoration project) restoring cars is beyond even the imagination of professional writers. I can hear them in the editorial meetings, “nah, that’s just over the top, implausible, patronizing…” Terrific story, thanks for telling us about this.